Techboomers has over 100 free courses with thousands of step-by-step tutorials and informational articles that can help you learn anything and everything about the Internet's most popular websites and apps. Check out our full range of courses, or jump down to any category that interests you! These websites and apps will help you connect with others over the Internet: learn how to create and use social media accounts, find free email and messaging services, learn to share images and video, and meet new people safely using online dating. Ask.fm Social Networking Anonymously ask virtually any question you want on this social network, or answer someone else's query. The more you contribute, the more friends you'll make! Badoo Online Dating Choose whether to date, make friends with, or just chat with millions of verified users for free on Badoo, one of the most popular dating websites around. eHarmony Online Dating Get a smooth dating experience with matches you'll really click with right from the start thanks to eHarmony's unique compatibility quiz and guided chat system. Facebook Social Networking Connect with friends and groups of people who share your interests to swap news stories and life happenings, organize real-world events, play games, and more. Facetime Messaging and Chat Reach out to the Apple device users among your friends and family with this app exclusive to iOS devices that lets you make both voice and video calls. Flickr Video and Image Sharing Store, organize, discuss, and share your favorite photos and videos for free. Or even pay Flickr to turn your photos into unique artistic creations to treasure! Foursquare Social Networking Find the best hotspots in any town with this website/app that recommends locations for you to visit based on the places you already like to hang out at. 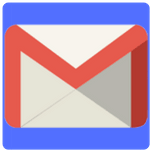 Gmail Messaging and Chat Do email differently with Google's email service, which features unique organizing conventions, plenty of memory storage space, and cool experimental features. Goodreads Social Networking Create a virtual bookshelf and use it to organize and discuss your favorite books. You can even get suggestions on what to read next, and where to go to buy it. 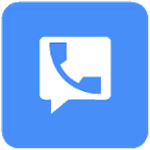 Google Voice Messaging and Chat Send and receive phone calls, voicemails, and text messages in one easy-to-organize place with this service that centralizes your phone numbers and activity. Hangouts Messaging and Chat Chat with anyone you know who has a Google account through text, phone, or video with this free app you can use on your desktop, mobile device, or web browser. iMessage Messaging and Chat Express yourself with family and friends who use Apple devices. Send and receive texts, pictures, videos, animations, and drawings - even with groups! Instagram Video and Image Sharing Join a community of visual enthusiasts in creating, editing, talking about, and sharing photos and short videos made using this completely free mobile app. Kik Messaging and Chat Expect more from your chat app. Kik not only lets you talk to your friends, but also lets you chat with automated programs to play games, get advice, and more! Match.com Online Dating Join one of the world's biggest dating sites with millions of active users to privately chat with. If you don't find love in 6 months, the next 6 are free. Meetup Social Networking Get people together with this website that helps you arrange gatherings in your local area for forming sports teams, hobby groups, dating sessions, and more! OkCupid Online Dating Make dating playful and fun by asking and answering questions and polls regarding likes/dislikes, relationships, and more to get more and better matches. Pinterest Video and Image Sharing Enter a world of collages of visual wonders. Create your own collections of pictures, animations, or videos to share, or see what others are inspired to make. Reddit Social Networking Read what the Internet is talking about on this social news network, where information is provided by, discussed, and voted on almost entirely by its users. Skype Messaging and Chat Stay in touch with the people that matter to you over this program that lets you send and receive free phone calls, text messages, and even video chat sessions! Snapchat Messaging and Chat Keep your interactions with friends spontaneous (and private) with this mobile messaging app that deletes texts, photos, and videos after they have been viewed. Stitch Online Dating Search for an older adult to meet as either a romantic companion or a friend to spend time with. It's your choice on this secure and private dating website. Tinder Online Dating Simplify your dating experience with this mobile app that allows you to accept or reject matches quickly, then get on with chatting to those who like you back. Tumblr Social Networking Keep an online journal full of thoughts, pictures, videos, sounds, or anything else. Follow the entries of people you like, or keep your journal private. Twitter Social Networking See what all the chatter in the world is about on this popular social network that encourages frequent posting by limiting messages to 140 characters or less. Vine Camera Video and Image Sharing Replay the special moments in your life over and over again with this mobile application that allows you to record, edit, and share looping 6-second videos. WeChat Messaging and Chat Get up-to-date with friends, family, and the world at large. Message people you know by text, phone, or video; or share goings-on on WeChat's social network. Whatsapp Messaging and Chat Save money on phone or texting plans with this free messaging app that lets you exchange texts, phone calls, voicemails, and more with other WhatsApp users! YouTube Video and Image Sharing Broadcast yourself with this website that allows you to watch and comment on professional and amateur videos, or even upload your own, mostly for free. Zoosk Online Dating Play with Zoosk's various game-like matching systems to have it learn your dating style and get you better matches. Then send them messages or virtual gifts! These sites and apps can help you do daily shopping online, find discounts and coupons, book vacations, get great deals on flights and hotels, and more! Airbnb Vacation Rentals Reserve a place to sleep that's out of the ordinary with this property rental website, or make money by renting out your own property for others to stay in! Alibaba Coupon and Discount Trade in bulk orders of wholesale goods on this e-commerce portal, either as a buyer for your own business (or yourself) or as a supplier for other companies. AliExpress Coupon and Discount Go directly to the sources with this online marketplace that lets you buy products straight from manufacturers in China at discounted wholesale prices. Amazon Buying and Selling Find and buy almost anything on this popular e-commerce website, either from Amazon itself or others like you. You can even trade in stuff you don't want! Prime Buying and Selling Upgrade your Amazon shopping with this add-on service that gets you cheaper and faster shipping, access to movies, TV, and music; and exclusive deals. 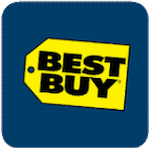 Buy Buying and Selling Get the best in consumer electronics from this online version of the popular retail chain, or call their "Geek Squad" if you're having trouble with your tech. on eBay Buying and Selling Purchase almost anything from this online marketplace by buying it, bidding for it in auctions, or submitting price offers. Then have it delivered to your door. Craigslist Coupon and Discount Advertise the new old-fashioned way with this online classified ad network that makes it easy and (usually) free to list something for sale in your local area. Ebates Coupon and Discount Get paid for shopping online with this affiliate advertising service that gives you money back when you use it to buy things on popular e-commerce websites. Etsy Buying and Selling Discover unique, handmade crafts and decades-old collectibles for sale - some that you can't find anywhere else - on this specialty online shopping portal. Expedia Flights and Hotels Book travel accommodations online for wherever you need to go and do. Reserve flights, hotels, car rentals, cruises, or even entire vacation packages! Groupon Coupon and Discount Save big on goods and services by buying discounted vouchers for them on this website. If enough other people want the same deal, you all get a break! HomeAway Vacation Rentals Save money on a home away from home on this website that has over 1 million rental property listings, two way host/guest ratings, and traveler's guarantees. Kayak Flights and Hotels Track the prices of travel accommodations across multiple booking websites to see what destinations are popular or not, and where you can score the best deals. Paypal Buying and Selling Manage your money online with this service that lets you securely and privately pay for goods and services while keeping your billing details all in one place. Priceline Flights and Hotels "Name Your Own Price" and bid for travel accommodations that fit your budget. Or, you can book amenities normally if you want more control over your experience. on eBay Buying and Selling Sell off things you make, source, or don't need anymore. Set up a store, list your products, then decide if people will buy, bid for, or haggle over your wares. Now Vacation Rentals Inquire about buying or renting a timeshare property from this online resale market, or hire their team to advertise your own timeshare for sale or rent. 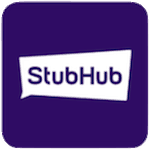 StubHub Buying and Selling Score tickets to concerts, plays, sports matches, and more from fans who can't make it to live events. Or, if you can't make it yourself, sell your own tickets! TripAdvisor Flights and Hotels Research information and reviews on travel accommodations around the world before you book them. You can also reserve them here if you find some you like. Tripping.com Vacation Rentals Find the best deal on booking a rental property for your vacation by comparing prices between listings on multiple rental property booking websites at once. VRBO Vacation Rentals Get a great deal on a rental property to stay at for your getaway. VRBO features over 800,000 rental properties from over 100 vacation hotspots worldwide. You'll never be bored again when you learn about all the great services out there for streaming TV and movies, listening to music, playing games, and keeping up with the news of the day. Audible Music and Audiobooks Enjoy your favorite books anytime, anywhere by buying and downloading them as audiobooks to listen to from this online audiobook marketplace by Amazon. BBC iPlayer Music and Audiobooks Hear what's happening in the United Kingdom with this website that lets you listen to live British radio and download British radio podcasts for free! Buzzfeed Fun and Games Feed your pop culture craving with this news website that features trending topics and stories, humorous "top 10" lists, fun personality quizzes, and more. Candy Crush Saga Fun and Games Swap candies to match 3 or more of a kind, and use special pieces to clear obstacles in this mobile game that's simple to learn but difficult to truly master. CNN News and Information Stay up-to-date on the latest breaking news from around the world with in-depth articles, as well as live broadcasts and recorded news programs from CNN. ESPN News and Information Get the latest stats, stories, analysis, and match broadcasts from the wide world of sports. Or test your sports IQ in fantasy games for a chance to win prizes! Funny or Die Fun and Games View funny skits, pictures, and essays from Will Ferrell and his celebrity guests. Then vote on what content stays on the website and what gets taken down. Finance News and Information Create and manage portfolios of stocks and bonds, search for company market performance, and view business news and trends with interactive graphs and charts. GRAND Magazine News and Information Learn how to be a better grandparent with this digital magazine full of advice for older adults on family dynamics, health and fitness, finances, and more. HBO Now TV and Movies Keep up with the best movies and TV programming the HBO network has to offer - even if you don't subscribe to HBO's TV channel - for a small monthly fee. Hoopla Music and Audiobooks Bring your local library to your web browser with this digital media lending portal that lets you take out e-books, audiobooks, movies, music, and more. Huffpost News and Information Read viewpoints on the environment, minorities, social dynamics, and other topics that don't always make the headlines, in addition to today's top stories. Hulu TV and Movies Watch the best in American television and movies on any device for a flat monthly cost. Hulu even lets you queue up programs so you can watch them later! IMDB TV and Movies Get all the behind-the-scenes information you need about the who, what, when, where, and why of your favorite movies, television shows, and video games. Netflix TV and Movies Indulge in unlimited, commercial-free movies and TV shows wherever and whenever for a small monthly fee. Or upgrade to watch on multiple devices at once! 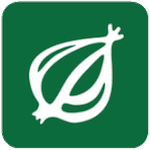 The Onion Fun and Games Look at the news in a hilarious new way with this comedy website that pokes fun at the biggest headlines from around the world and the news industry in general. Overdrive Music and Audiobooks Borrow e-books, audiobooks, movies, music, and more from this online repository for free, and all you need to access it is a library card or school ID! Pandora Music and Audiobooks Explore the boundaries of your musical tastes by having Pandora play you a custom music mix based on the songs, artists, and genres that you already love. Pokemon Go Fun and Games Scour your surroundings for virtual monsters to capture, train, and battle in this mobile game that takes your location in the real world into account. SeniorPlanet News and Information Join New York City seniors in reading about issues affecting older adults, learning tricks for the latest technology, and getting together for events. SoundCloud Music and Audiobooks Get way into your favorite independent (and sometimes mainstream) music on this website. Play it, comment on it, share it, and sometimes even download it. Spotify Music and Audiobooks Discover a world of music at your fingertips with this program that lets you listen to over 30 million songs. Create custom playlists and random mixes, too! StumbleUpon Fun and Games Wander the Internet in style with this website that lets you semi-randomly discover new content and friends based on the things that you already like. Upworthy News and Information Inspire yourself with empowering and motivational news stories from around the world, then share the positivity with your friends and family on social media. WSJ News and Information Gain insights into the corporate world with business statistics and financial device, as well as leading news stories, from this specialized newspaper. Wunderground News and Information View in-depth forecasts, interactive maps, and news from a community of weather experts and enthusiasts to know everything you need to about the day's weather. These websites are useful in your daily life, from helping you research great services, to jump starting your business, to increasing productivity, or even learn new things using online tools. Ancestry Research Tools Create and share family trees, piecing them together from evidence from over 14 billion historical documents, as you explore your heritage on this website. Angie's List Research Tools Know who to call when you need something done by reading business reviews on Angie's List. The website also lets you hire companies, sometimes at a discount. Care.com More Helpful Apps Hire the perfect housekeeper or caregiver for your loved ones. Post job ads, then review applicants with interviews, reference checks, and background checks. Coursera Online Learning Study at college - without actually going to college - in this online education portal by taking over 1500 courses from top academic institutions worldwide. Dropbox More Helpful Apps Keep your computer files safe but accessible by backing them up to a separate computer server that you can reach from your desktop. You can even share files! DuckDuckGo Research Tools Protect your privacy when searching on the Internet by using DuckDuckGo to find websites, images, videos, and more without revealing your digital footprints. Eventbrite Business and Productivity Host live events with ease by managing ticket sales, invites, advertising, guest lists, and more. You can also use Eventbrite to join someone else's live event. Evernote More Helpful Apps Use notes, to-do lists, voice clips, photos, and more to recall whatever you need to remember - any way you need to remind yourself - across all your devices. Drive More Helpful Apps Store your computer files on an Internet-based hard drive for free. This keeps them safe and lets you share them, all while freeing up your computer's memory. Maps More Helpful Apps Find and view information about pretty much any place on Earth, including transit directions between places. Know where you are and where you're going. Search Research Tools Search for websites, pictures, videos, news, or whatever else you're looking for on the Internet with one of the most popular search engines on the planet. Lifehacker Online Learning Make life easier for yourself by learning inventive solutions and strategies to solve various everyday problems, from preparing dinner to managing finances. LinkedIn Business and Productivity Show off your job credentials, apply or hire for a position, or read what's going on in the corporate world with this business-oriented social network. Lyft More Helpful Apps Get a safe and affordable ride wherever you are and wherever you need to go in the US with Lyft. It's cheaper, quicker, and safer than hailing a standard taxi! Lynda.com Online Learning Get what you need to succeed in the workplace with this website, which has video-guided lessons on personal and technological skills employers are looking for. Kickstarter Business and Productivity Make your big idea a reality by fundraising money towards building a creative product, or donate to other projects to get rewards and help wishes come true. Quora Online Learning Find answers to various questions on this community-based shared knowledge portal. You can also answer someone else's question, or ask a question yourself. TechBoomers Online Learning Introduce yourself to how our website works so it will be easier for you to navigate all of our informative and easy-to-read lessons on digital technology! 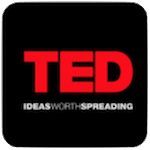 TED.com Online Learning Expand your mind with TED.com's free and easy-to-understand essays and video lectures on education, leadership, society, computers, medicine, and more. Udemy Online Learning Learn almost anything from over 40,000 courses taught by subject experts. If you know enough about a certain topic, you can even teach your own course! Uber More Helpful Apps Request to get picked up and dropped of wherever you want by an independent taxi. Uber is available in over 650 major cities and towns around the world. WebMD Research Tools Check this website for medical information, such as a doctor or hospital's location, common drug side effects, or what ails you based on your symptoms. Weebly Business and Productivity Construct a feature-rich website with simple drag-and-drop controls, guided formatting, and hundreds of apps that can make it do whatever you need it to. Wikipedia Research Tools Look up information about pretty much anything on this free online encyclopedia that is created and edited almost entirely by the people who use it every day. Wix Business and Productivity Build a website for free and make it exactly how you want it, with drag-and-drop functions that allow you to customize its elements down to the finest detail. Wunderlist More Helpful Apps Create custom task lists that can include due dates, sub-tasks, comments, uploaded files, and more! Manage everything you or your work group need to do. Yelp Research Tools Get to know the local stores in any neigborhood, and see what patrons are saying about them, in this business directory that doubles as a social network. If you're new to the tech world, these tutorials can help you learn things at a more basic level. Learn how the Internet works and how to keep yourself safe, in addition to new ways to increase your digital literacy, including learning to use your iPhone, iPad, or Android device. and Voicemail Android Make and get calls, forward or block calls, make group calls, and set up and check voicemail. We'll help you master your Android phone's basic call functions. the Internet Internet 101 Learn how the Internet and World Wide Web work, including where they came from, what technologies and systems drive them, and what you can do with them! and Voicemail iPhone and iPad Get the basics of your iPhone's call functions down: making and receiving calls, forwarding calls, blocking numbers, and setting up and checking voicemail. Texting iPhone and iPad Send text messages to one person or a group; search for, forward, and delete texts; and block unwanted texters as you become a pro at texting on an iPhone. 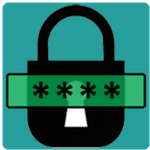 Passwords Internet 101 Keep your online accounts secure by learning how to create strong passwords for them, reset weak or forgotten passwords, and manage your passwords efficiently. Privacy Internet 101 Protect your privacy online. Learn how and why your Internet activity can be tracked, as well as some methods for hiding your personal information online. Safety Internet 101 Stay safe on the Internet with some online security basics, like how to use antivirus software, avoid email scams, and safely use different types of websites. 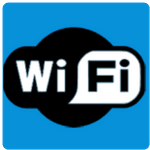 Wi-Fi Internet 101 Get wise about Wi-Fi by learning how it works and how to use it to connect to the Internet, as well as how to set your own network up and change its password.